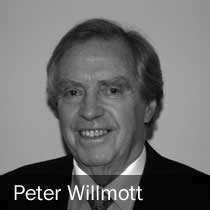 Peter is an Associate Partner of S A Partners and is a Chartered Engineer and has a B.Tech (Hons) in Production Engineering and is a renowned authority on the application of Total Productive Maintenance in the western world and is the author of two books on the subject. He is currently co-authoring his third Book entitled ‘TPM-A foundation of Operational Excellence within the Emerging World of Industry 4.0’, due to be published at the end of this year along with an optional electronic Workbook version. He has presented papers on the subject of TPM and Maintenance Best Practice at Conferences and Seminars in over 20 Countries around the world and has also led 5x TPM Manufacturing Study Tours to Japan, and is a past external lecturer for the University of Buckingham’s MSc in Lean Enterprise covering the TPM, 5S, SMED & TPA Modules. Peter has accumulated over 25 years of practical experience in designing, implementing and sustaining TPM programs with enterprises such as Abbott. BNFL, BP Exploration, Exxon Chemicals, Eli Lilly, Ford Motor Co, General Motors (Europe), Guinness, Hollister, Kraft Foods, Shingo Award winners Lake Region Medical & J&J DePuy, Leo Pharma, Linpac Packaging , Meda-Rottapharm, Molex Ireland & USA, Northern Foods, Pfizer Ireland &USA, Premier Foods, Rank Hovis Group ,Roche, Rolls Royce, The Royal Mint, Shell, Sony ,Spirax Sarco, Teva, Yeo Valley and Zimmer.